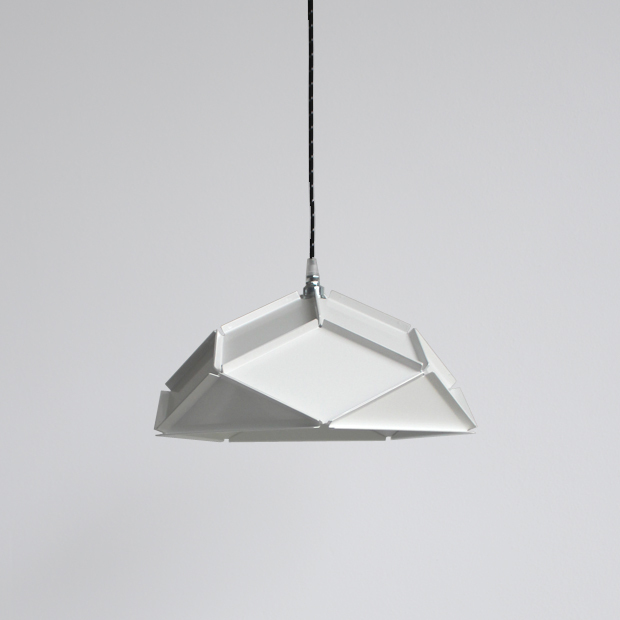 The Solid is a small pendant lampshade made out of steel plate elements that are joined by point welding. 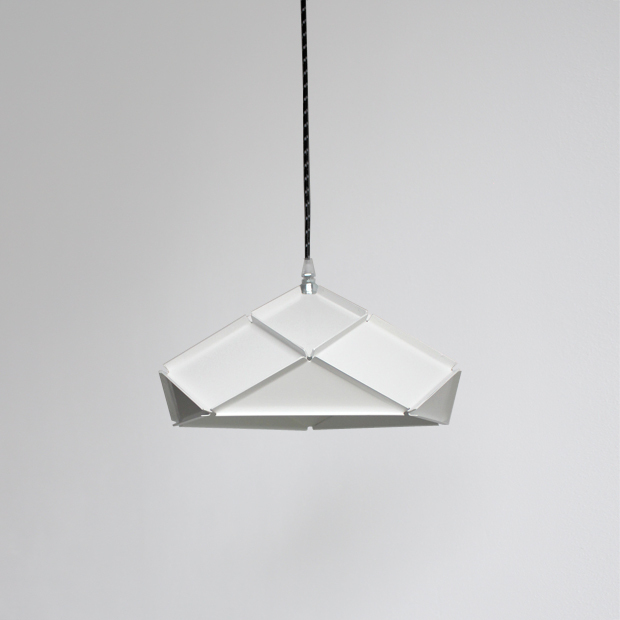 The lamp shade is finished with a glossy, bright white, powder coating. The shade’s measurements are approx Ø35cm x 15cm and it weighs approx. 1,5kg. 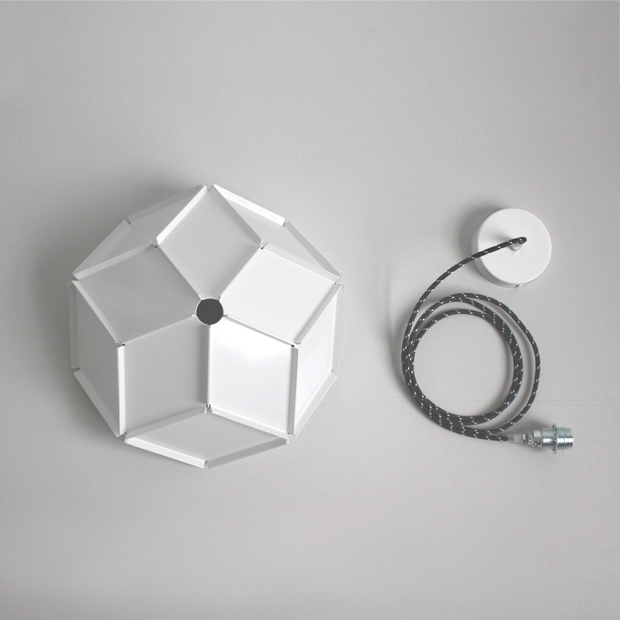 It comes with a 2m long textile cable and a ceiling plate matching the color of the shade. The shade will be delivered with a small metal E14 lampholder fit for lightbulbs till a max. of 40W. The lightbulb is not included.